pipe roller cradles Darby Mandrels are adjustable for any wall thickness within specified mandrel range and most have the capability to cover two pipe sizes using a conversion kit. pipe roller cradles Darby uses high-strength alloys in construction. pipe roller cradles Long wedges reduce the need for shimming. pipe roller cradles Slide locks pull the belly of the mandrels up to eliminate drag in the pipe. pipe roller cradles Mandrels are equipped with filters, lubricators, regulators and valves that are all rated to 250 psi (17.24 bar). pipe roller cradles Tapered wheels greatly reduce rolling. pipe roller cradles Powerful oversized cylinders provide maximum force. 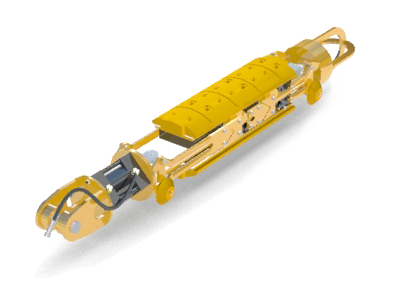 pipe roller cradles Mandrels are operated remotely by reach rod.